Do I need a visa to travel to China? What is the address and phone number of the Qingdao International Expo Center? Are there ATM’s at the Expo Center? Is there WiFi at the show? Is there a printed Show Directory? Can I bring my children to the show? Is the show entry badge good for all 3 days of the show? When will I receive my show pass? Do you accept credit cards on-site for registration? What time does the show open and close each day? Will there be light rail to the show? Are there hotel discounts available? Are there restaurants close by or in the Expo Center? Where can I find a map of the Expo Center and exhibition halls? Where will the show be next year and what are the dates? Is the show entry badge good for all three days of the show? Do you accept credit cards for on-site registration? 1. Do I need a visa to travel to China? Yes. All foreign nationals entering China must have a valid Chinese visa. For more information on types of visas and how to apply, please click here. 2. What is the address and phone number of the Qingdao International Expo Center? 3. Are there ATM’s at the Expo Center? Yes. Locations will be on our Expo Center Guide, which will be available soon. 4. Is there WiFi at the show? Yes. The Expo Center has a public WiFi network. 5. Is there a printed Show Directory? Yes. You will receive a printed Show Directory when you pick up your exhibitor badge. Our mobile app for iOS and Android is currently available and also includes the 2018 Show Directory. 6. Can I bring my children to the show? No. Persons under the age of 18 years will not be allowed in the exhibit halls, including infants in strollers or carriers. Child care services are not provided and are not available at the Expo Center. If you are traveling with children, please make appropriate arrangements for their care during your visit to the show. 7. Is the show entry badge good for all three days of the show? Yes. All badges are valid for the full length of the China Fisheries & Seafood Expo. 8. When will I receive my show badge? Visitor Pre-Registration for CFSE 2018 will be available in June. After successfully completing the online visitor pre-registration you will receive a Registration Confirmation email with a barcode. Please print your Registration Confirmation email and bring it to the Overseas Visitor Registration Desk in the Expo Center’s Main Registration Hall to obtain your entry badge and printed Show Directory. You must bring your Registration Confirmation email with the barcode visible to pick up your badge. The letter can be either printed or displayed on the screen of your smart phone but it is important that we be able to scan the barcode. 9. Do you accept credit cards on-site for registration? No. Only cash is accepted for payment of visitor registration fees. We accept RMB and US$. 10. What time does the show open and close each day? The show opens to visitors at 10:00 am each day. The show closes at 17:00 the first two days and 15:30 the last day of the show. 11. Will there be light rail transportation from downtown Qingdao to the Expo Center? Yes. More information will soon be available regarding the Qingdao Light Rail schedule. 12. Are there hotel discounts available? 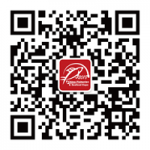 *Qingdao has many additional hotels from 2-star to 5-star that do not directly participate in CFSE. For your convenience, please be sure that if you book at a non-participating hotel that they provide complimentary shuttle service to and from the Expo Center each day. 13. Are there restaurants close by or in the Expo Center? Yes. Several restaurants will have catering outlets set up inside the Expo Center during the show. Nearby hotels such as the Grand Mercure and the Grand Metropark will have lunch options as well. 14. Where can I find a map of the Expo Center and exhibition halls? Maps of the Expo Center, exhibition halls, and other important show locations will be available soon. 15. Where will the show be next year and what are the dates? The 24th annual China Fisheries & Seafood Expo will return to the Qingdao International Expo Center in 2019. The show will run from October 30th – Nov 1st, 2019. Copyright © 2019 Sea Fare Expositions, Inc.